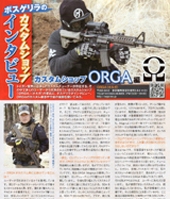 VK-01-M4MAX2-AG, SYSTEMA VALUE KIT1 M4A1 MAXⅡAmbi PTW. This value kit includes a metal receiver, gearbox (ambidextrous), inner barrel, outer barrel and hop-up set and Cylinder. VK-01-CQMAX2-AG, SYSTEMA VALUE KIT1 CQBR MAXⅡAmbi PTW. This value kit includes a metal receiver, gearbox (ambidextrous), inner barrel, outer barrel and hop-up set and Cylinder. 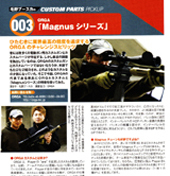 VK-01-M4MAX2-RG, SYSTEMA VALUE KIT1 M4A1 MAXⅡReguler PTW. This value kit includes a metal receiver, gearbox , inner barrel, outer barrel and hop-up set and Cylinder. VK-01-CQMAX2-RG, SYSTEMA VALUE KIT1 CQBR MAXⅡReguler PTW. This value kit includes a metal receiver, gearbox, inner barrel, outer barrel and hop-up set and Cylinder. VK-03-MAX-AG, SYSTEMA VALUE KIT3 Ambi PTW, his kit is made up of the three main engine area of the P.T.W. ; Motor, Circuit Board, and the Gear Box. VK-03-MAX-RG, SYSTEMA VALUE KIT3 Reguler PTW. this kit is made up of the three main engine area of the P.T.W. ; Motor, Circuit Board, and the Gear Box.